In Lebanon thousands of immigrant maids live in a condition of virtual slavery and without any legal protection. Human Right Watch estimates that since 2007, approximately two of them committed suicide every week. 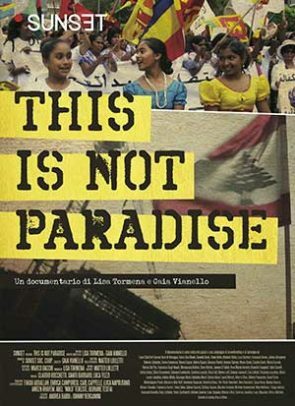 Through the testimony of the women who managed to emancipate, through the stories of who helps them emancipate and of the immigrant rights volunteers, we go into deep in something very delicate and almost unknown about Lebanon and Middle East, where today something is changing, thanks to the society and the new generation of Lebanese people. Production company: Sunset Soc. Coop.